In the Monitored Objects section, you can manage the list of VMs and VM containers (hosts, clusters, datastores and so on) that must be included in the monitoring and reporting scope. Alternatively, press [CTRL + S] on the keyboard. 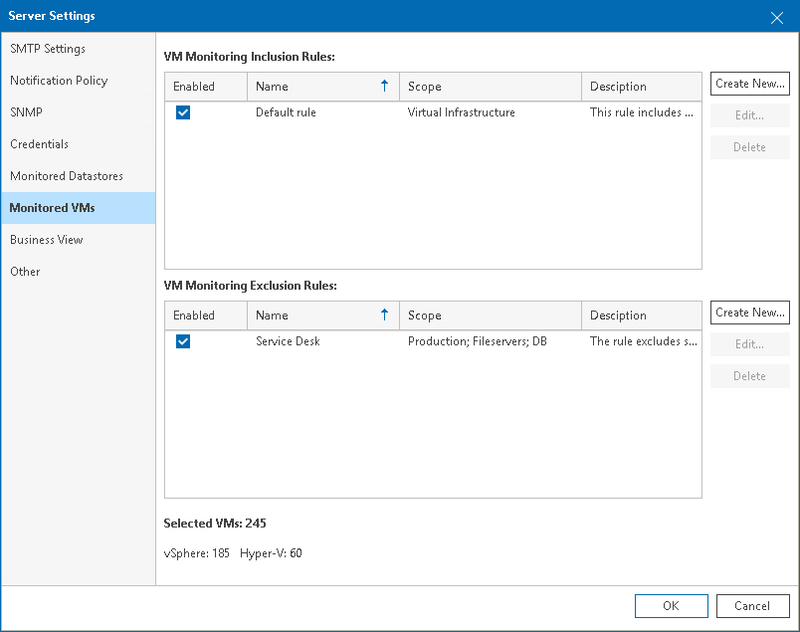 Create rules that will be used to include VMs and VM containers to and exclude VMs and VM containers from monitoring and reporting. For more information on choosing objects to monitor and report on, see Choosing VMs and VM Containers to Monitor and Report On.